* Teach and help students learn better and excel academically in Math / Science courses. * Support and differentiate instruction to accommodate the needs of different learners in order to overcome difficulties, enhance abilities, and improve students’ performance. * Plan and use best practices in Math / Science courses through innovative teaching pedagogy that makes instruction and teaching more flexible and effective. * Integrate technology in classroom setting, whether in teaching pedagogy, classroom management, and assessments. * Provide opportunities to diverse students that will let them explore and engage in activities which will make learning more meaningful. * Develop and maintain comfortable learning environment to foster students’ readiness and attention to learning and improve academic performance. * Show exemplary work outcomes and help colleagues involved in professional learning communities. I'm an experienced Math/Science teacher who has a great passion for teaching and learning at the same time. I have been teaching in different international schools with different curricula in China for more than 15 years. I have discovered a lot on how to deal with diverse or bilingual students. I spent most of my time reading research papers on English language Learners. In fact, I did an action research paper which I identified the factors that hinder ELLs' progress in learning and have developed some strategies and instruction on how to deal with them, including the use of vocabulary instruction which is very significant in learning new information in English. I can impart my knowledge when it comes to project-based learning and assessments to fellow teachers. I also believe and practice inquiry-based learning approach and differentiated instruction. As for curriculum and teaching pedagogy and instruction, I can assure you that I’m familiar with different international curricula, which actually pushed me to focus on studying further till I graduated my Master of Education - Curriculum Studies in Canada last year. Working in Australian & Canadian programs based in China taught me a lot about different curricula, its strength and weaknesses. I had attended IB seminars in Shanghai in 2016 and learned about assessments and IB Unit planning. I’m a constructivist teacher by heart, like John Dewey, I believe that the center of curriculum should focus on child’s needs and interests. By then you can design how you’re going to deliver curriculum that will fit to your student’s needs and interests. For teaching pedagogy, I’m a big supporter of project-based learning. I very experienced when it comes to PBL as I prefer my students to be engaged in learning to support and apply the concepts they've learned in math and science courses. I devised different form of assessments to show the abilities and skills of each student. I collect students' artifacts for reference, visual display, and reinforcement of their studies. I'm resourceful, flexible, and organized when it comes to classroom management. When it comes to school development, you can certainly rely on me. I love to be involved in school activities as part of nurturing students skills and behaviors to become better global citizens. I can be a great help in organizing programs, designating students what to do, decorations, programs, rehearsals, event organization, and among other things. You can check my website for references. I also involved my self in clubs as an adviser in Performers’ club, Photography, and Math club. In fact I tutored my Grade 10 students to compete for University of Waterloo Galois competition and they topped 9 & 4 for two consecutive years beating other international schools in China. Lastly, as part of my advocacy, together with my students, we extend our class to the community by getting involved in charity events and encourage my students to expose themselves in community building. They donated some of their profits in the Business Expo to charity. I was awarded as one of the recipients of Tengwengge Friendship Award for Expats given by the Nanchang city mayor for my contribution in the field of international education. I also extend some time to struggling students who need extra help or to those who want to go beyond what we are learning in the class. I'm also interested in integrating technology into learning. As an educator for 21st century learners, I embraced myself to technology that helps foster student's learning. I created class websites for my math/science courses classes and QQ forum discussion where I can communicate with the students easily and at the same time help them develop their English skills in the form of inquiry. They say – if you love your job, it doesn’t feel like you're working at all. I recently graduated in Master in Curriculum Studies (Focus in Math, Science, and Technology) at Acadia University, Wolfille, Nova Scotia, Canada. I have also graduated from Bachelor of Secondary Education. 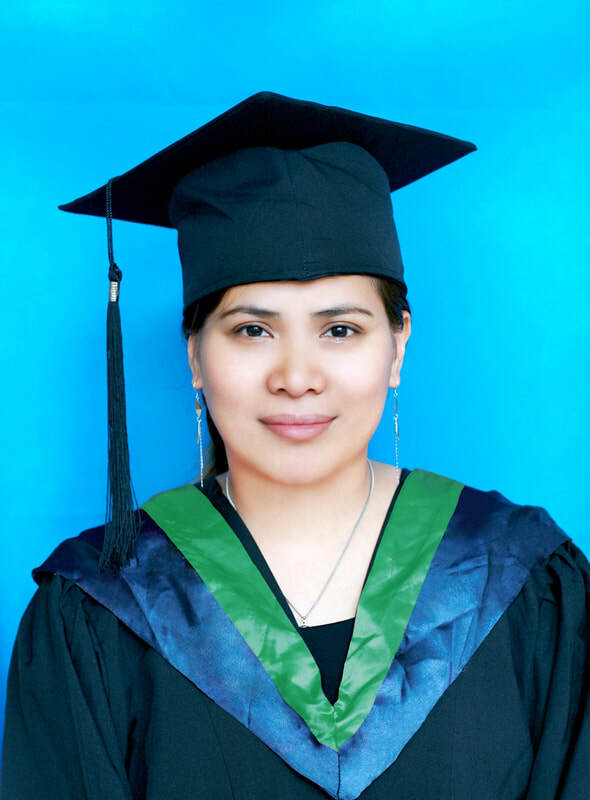 I have studied other courses for Bachelor of Science in Elementary Education and Bachelor of Science in Computer Engineering.